Australia’s largest owner-operator of hotel suites is strengthening its presence in Sydney by announcing a new luxury hotel near Sydney’s great sporting arena. 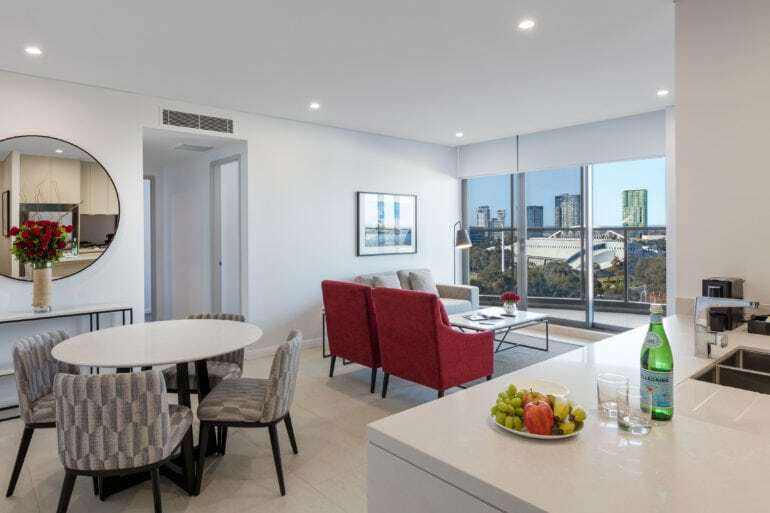 Positioned right next to the Sydney Olympic Park precinct, Meriton Suites Carter Street, Lidcombe has officially opened its doors and is the perfect accommodation option for sporting enthusiasts and concert goers alike. action at Sydney’s sporting and entertainment capital that is Sydney Olympic Park. “We are delighted to announce our newly opened hotel in Sydney’s Inner-West. This new property features chic, designer inspired furniture, with fresh tones and polished interior details that reflect not only the global five-star trends but also what our guests now expect from our hotels” said Matthew Thomas, Group General Manager of Meriton Suites. Renowned for offering large open-plan style accommodation, guests can also expect to be treated to the best views of Olympic Park and out to the Sydney Skyline. All suites feature a fully-equipped kitchen, internal laundry, spacious bedrooms and a separate living and dining area. Enjoy added features like FREE high-speed Wi-Fi, a large 50” LED TV with 24 foxtel channels in the living room and an additional wall mounted TV in each bedroom. With the most spacious suites in the region, guest will love the custom-made furniture offering a chic design. The brand new apartment-style hotel is also the only one in the area to feature an on-site heated swimming pool, spa, sauna and fitness centre. 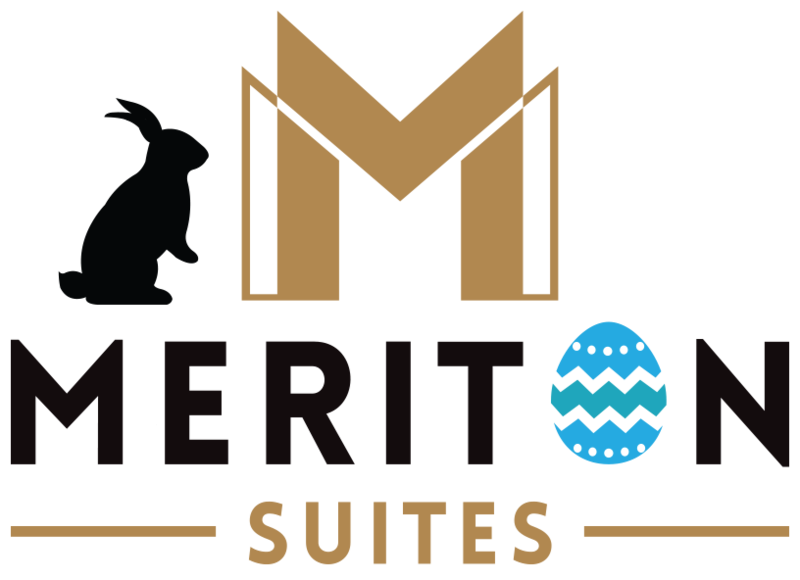 Meriton Suites Carter Street, Lidcombe offers 1, 2, and 3 bedroom suites, and for the first time large 4 bedroom suites, which span two floors and includes access to large private rooftop terraces – offering the perfect location to entertain friends or family. With the inclusion of two stunning 4 bedroom Penthouse Collection suites, guests have the choice to experience the ultimate luxury during their stay. The 4 Bedroom City Penthouse’s offer a spacious floorplan over two levels and chic new furnishings to ensure a luxurious stay for the family or a group of friends. Guests can also indulge in a delicate range of Balmain Paris bathroom amenities and take in the breathtaking Sydney views while relaxing in a private rooftop terrace. The hotel also features an exclusive Australian hotel collaboration between KEVIN.MURPHY and Meriton Suites. The Repair-Me range is perfect for travelers on the go who need to recover and pamper, offering quality products that nourish and strength hair.